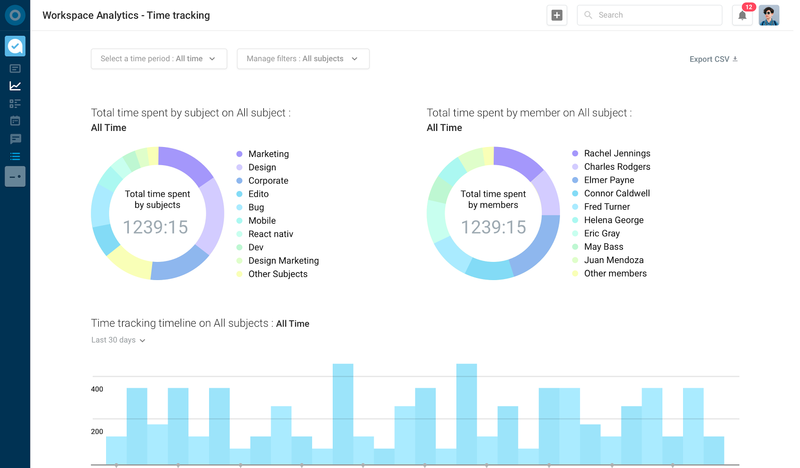 I think Azendoo is suited well to small office tracking projects and tasks together. The shared projects/calendar use is helpful and can make work easier if everyone uses it in a similar manner. The ability to add things from other sources (Dropbox, Evernote, etc) does make it a useful platform because you can integrate other things into the app well. The visibility and shared spaces provide good accountability and follow up for work being done. Categories - Azendoo sorts to do lists into workspaces in a way that was relatively helpful. Expandable - there are lots of ways to apply/implement azendoo that makes them useful and flexible to those after a productivity app. Shareable - while no one at my office adopted it, the option to share tasks/progress was helpful. Not cost effective - I can get similar features for less. Clunky - my phone/web apps did not always sync together perfectly. Premium features in azendoo are some features I can get for free in other apps (Evernote, Asana, etc). azendoo is a different tool, meant for a different project type. While it's a good program on its own, Evernote ultimately had all I needed as a single employee/student is the only person within my workspaces. I did not need to network and as such, I did not find it applicable. Later down the road in a shared office, I might feel differently. I found myself frustrated at some of the costs to upgrade for features and found better outlets. It wasn't totally necessary as I was the only user in the office. It was useful, but it was also another thing to manage, and it was easier to just use Evernote's list feature in the end.